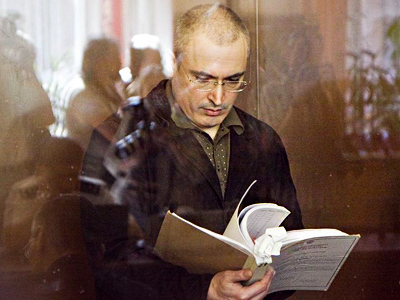 Jailed Ex Yukos CEO Mikhail Khodorkovsky has appealed in an open letter to President Medvedev for justice to be restored in Russia and accused the court of “legal nihilism”. 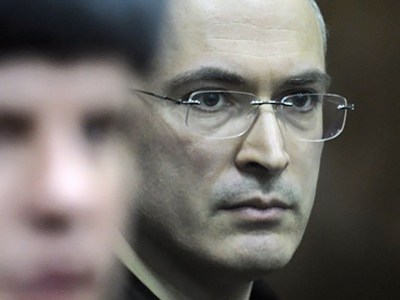 “I find it necessary to appeal personally to the president of Russia in connection with the disgraceful verdict of the Khamovnichesky court,” Khodorkovsky said in the letter that was published by Vedomosti daily. On December 30 last year, he and his business partner Platon Lebedev were sentenced to 13.5 years in prison each in a second case against the two. They were found guilty, at Moscow’s Khamovnichesky district court court, of organizing a criminal group in the oil business, embezzling 218 million tons of oil from Yukos’ subsidiary companies and money laundering. 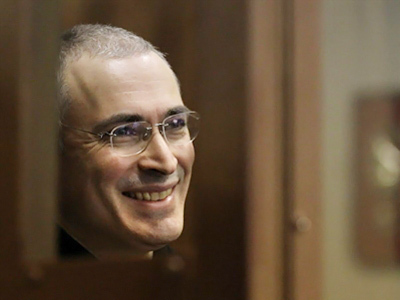 Appealing to the president, Khodorkovsky stressed that he does not suggest putting pressure on judges. On the contrary, “I suggest saving [the court] from pressure, from that humiliating role of an appendage of the repressive system which manipulates it,” he said. The president’s duty under the constitution is to provide independence of the courts, “rather than just declare it”. 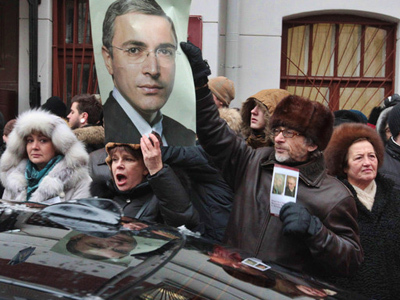 Once Russia’s richest man, Khodorkovsky believes that when it surfaces in a high-profile case that judges were acting under pressure, the head of state must order an independent investigation. “My conclusion of the dependence of the judge is based not only on the scandalous statement by the prime minister,” he said. Apparently, the former billionaire was referring to Vladimir Putin’s remarks made during his annual televised Q&A session on December 16, which was before the court verdict on the Khodorkovsky case. Back then the premier stated that “a thief should sit in jail” and drew a parallel between the former Yukos CEO and American Bernie Madoff, who defrauded hundreds of investors of billions of dollars in a so-called Ponzi scheme. 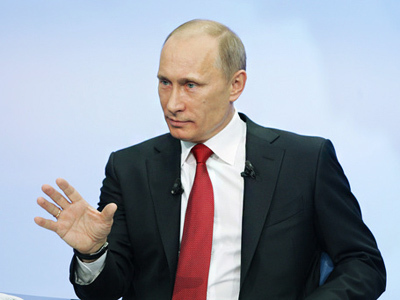 Putin later added though that his comments did not imply any pressure on the courts. Khodorkovsky also hinted at having other information on judges being pressured, but said he would not reveal it before a new investigation is launched. Courts came under fire too for “increasing legal nihilism”, including “broad construction of the Criminal Law”. Khodorkovsky gave several examples of such “nihilism” citing conclusions from the court verdict. “Where could this pseudo-judicial practice lead the country if the court states that a deal, as a result of which a vendor got bullions in profit, was ‘unpaid confiscation’ or a theft?” he wondered. Khodorkovsky added that when the court impudently ignores the law and the president has no opportunity to change the situation, the country is in danger of facing a constitutional crisis. “Luckily, we have not got to that point yet,” he added. The businessman expressed confidence that Medvedev – a reasonable and pragmatic politician – is aware of the attitude of Russian intelligentsia to “demonstrative force and court lawlessness”. And even though reasonable people would never lower themselves to pogroms, the opportunities of the rule of “brute force” are not unlimited. Dmitry Medvedev had earlier made his stance on the situation with Khodorkovsky quite clear. In an interview with American Bloomberg TV he said that he always believed “that a president of any country, including Russia, should not discuss any individual cases, just because it would mean interference in the court system”. He recalled that in 2010 alone, several thousand private entrepreneurs and employees of major business entities were sent to prison for tax crimes. “I believe that all the talk about the shortcomings of our judicial system as well as any attempts to bring pressure, including on me as the president, are totally destructive in this context because they make everyone else think that the judicial and legal system in Russia is so imperfect that you can simply tell the president or someone else ‘change the sentence for Khodorkovsky or someone else, and then we’ll believe that your legal system is not that hopeless, that it is kind of working.’ But that would be unacceptable,” he said. “Let me tell you, quite frankly: I have discussed this topic – behind the scenes, of course, – with some of my colleagues, high-ranking colleagues. And I told them one simple thing. I said: “As long as you discuss this in secret, it means that we have an ill-functioning legal system.” The president should not interfere with things like this. 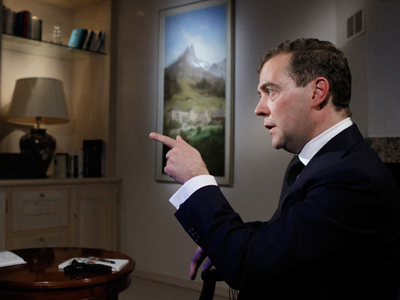 Let the judicial and legal systems develop independently, otherwise there will be problems,” Medvedev added.